ANNOTATION INSTRUCTIONS: When you see a light red highlight, click on the small comment box to the right to read the reporter’s annotation. As the elderly population continues to grow rapidly, finding affordable and accessible housing for this demographic has become a prominent issue. In Georgia, the older population is expected to make up 65.5 percent of the total population by 2030, according to the American Association of Retired Persons. Why It’s Newsworthy: The elderly population is rapidly growing, and in an area with a large student population like Athens, senior living facilities are faced with having to adjust in terms of providing affordable housing options. One of the government agencies that directly deals with addressing the needs of older individuals and their caregivers is the Northeast Georgia Regional Commission’s Aging and Disability Resource Connection (ADRC) department, according to Megan Vogt, the program manager for the ADRC. 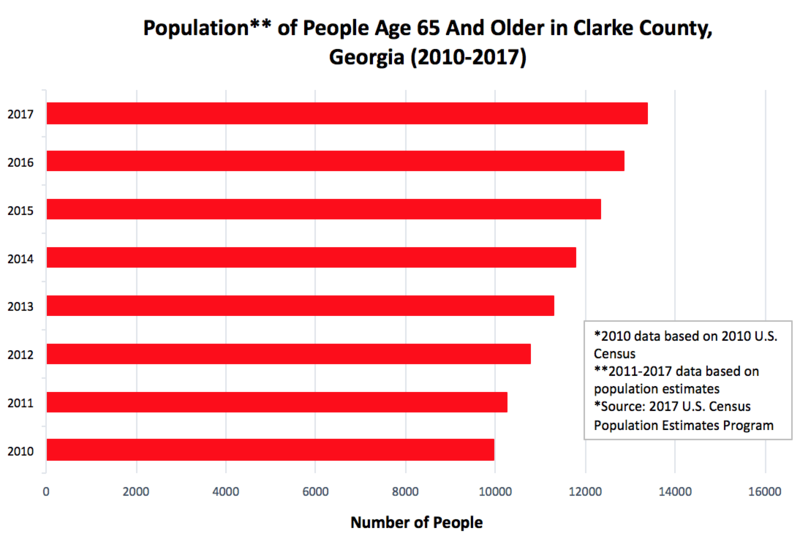 The United States Census Bureau’s population estimate of residents in Clarke County who were over the age of 65 in 2017 was 13,378 compared to 9,952 in 2010. Due to Athens’ growing popularity as being an appealing city for retirement, facilities in the area have made efforts to accommodate the increase in people. “New apartment communities [in Athens] such as Columbia Brookside and Lakewood Hills Senior Village have been built with units that accommodate needs of older adults, such as roll-in showers, grab bars and widened doorways,” said Vogt about two communities that offer affordable senior living for people 62 years or older, and 55 years and older, respectively. Columbia Brookside, which is described on its website as a “mixed-income community,” has varying rates based on a resident’s level of income and provides housing for low-income families as well as seniors. Lakewood Hills Senior Village offers 1 bedroom/1 bathroom units from $550 and 2 bedroom/1 bathroom units starting at $627, according to the facility’s website. 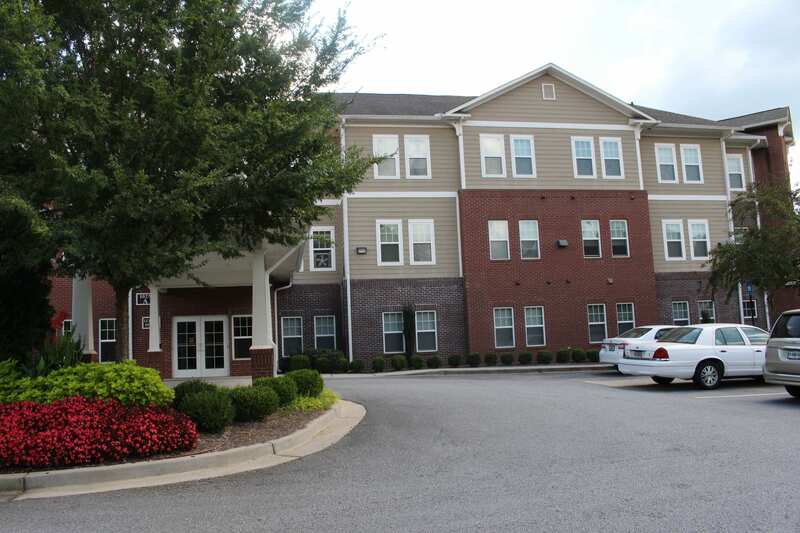 Courtney Haney, the marketing and support services manager at St. Mary’s Highland Hills Village, a senior living facility in Watkinsville, said the staff has seen an increase in need throughout all three levels of care the facility offers. These levels include independent living services, memory care and assisted living. The waiting list Haney referred to is for prospective residents who are looking to live at Highland Hills Village, but are unable to move in immediately due to full occupancy. Some residential facilities require a refundable or nonrefundable deposit to be put on their waiting list, but Highland Hills Village does not. The facility does not offer emergency housing for seniors however, due to a “full census and lengthy waiting list,” according to Haney. The 2010 Centers for Disease Control and Prevention National Survey of Residential Care Facilities said 29 percent of senior housing communities reported having an active waiting list, with seven being the average number of people who were waiting for beds. Haney also said a brand new memory care unit with 34 beds was built in 2010, which allowed the facility to expand not only in the number of beds, but also the quality of care. “We continue to address the growth by expanding services on our current campus in order to maintain the small-community feel that has made us so successful since opening in 1985,” Haney added. According to the Highland Hills Village website, one and two-bedroom units are available for residents. Each unit has fully equipped kitchens, personal balconies, patios and controls for heating and air conditioning. “62 percent of residents are with us in the independent living portion of our community, which is also where we provide the largest number of rentable units,” Haney said. In total, Highland Hills Village has 76 independent living apartments, 18 assisted living units and 34 memory care units. However, she added the Georgia Department of Community Affairs makes efforts and provides incentives to builders and developers to build affordable housing, such as the Housing Tax Credit Program, which gives federal and state tax credit to rental property owners who designate all or a portion of their units for low-income residents. Kristen Adaway is a senior majoring in journalism in the Grady College of Journalism and Mass Communication at the University of Georgia.